Belfast-based Teamwear Ireland has tripled its market share in the Republic of Ireland and recruited 14 new staff since securing a £50,000 loan from the Northern Ireland Small Business Loan Fund (the Fund) in 2013. The company has recently received another £27,000 from the Fund to support future growth. The Fund is managed by Ulster Community Investment plc (UCI) on behalf of Invest Northern Ireland. UCI is a subsidiary of social finance organisation Ulster Community Investment Trust (UCIT). Teamwear Ireland was started in 2010 to supply branded sports clothing and equipment. Increased production and need for storage has seen the company expand its facilities at Stockmans Way from 2,800 sq ft to 4,500 sq ft. The business is now exporting its products globally. 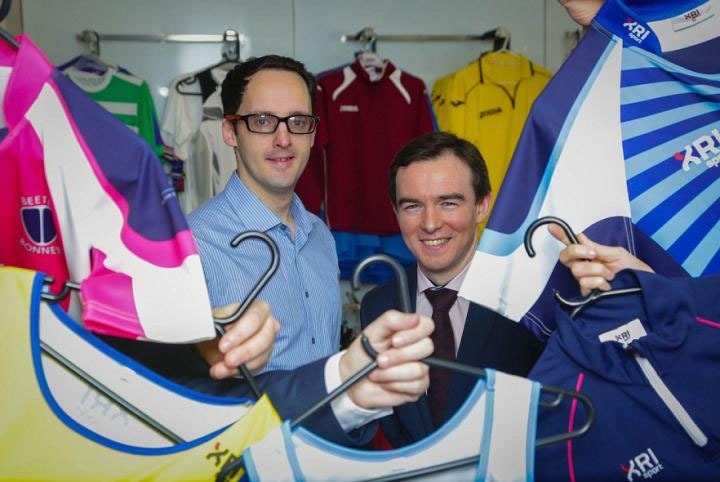 John Anderson, Owner of Teamwear Ireland said: “The original loan from the Northern Ireland Small Business Loan Fund allowed us to invest in two new embroidery machines to produce high-end sportswear. This was a service we outsourced previously but now we have the technology to provide it in house. As a result we have been able to offer customers a complete one stop customisation of their product. “Since then we have taken on a further 10 staff, expanded our existing premises in Belfast and tripled our market share in RoI. We have sales reps right across Ireland and we have also expanded our distribution channels right around the world. Finance Director of UCIT, Barry Connolly, said: “Teamwear Ireland has experienced tremendous growth since we supported them three years ago. The business has a very strong management team in place and has become a major player in the sportswear market. The Northern Ireland Small Business Loan Fund provides access to finance for small businesses, sole traders and partnerships which are keen to develop their business, but find it difficult to access funding through traditional sources. Pictured is John Anderson, Owner of Teamwear Ireland with Barry Connolly, Finance Director of UCIT.